The 2017 Honda Civic EX trim level provides drivers with premium features at an affordable price. That makes it the perfect option for a driver in the Elgin area that wants the benefits of a new Civic without breaking the bank. So what advantages does the EX have over the base model? Find out below! Every Civic Sedan comes with anti-lock brakes, traction and stability control, multiple airbags, and a multi-angle rearview camera. The EX is also upgraded over the LX with the Honda LaneWatch blind spot monitoring system. 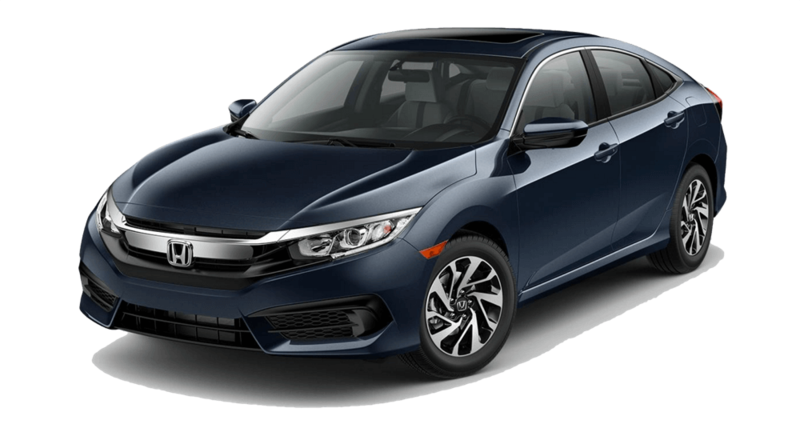 If you’d like to upgrade your Civic EX, you can choose the Honda Sensing package, which adds on features like a lane departure warning and prevention system, a forward collision warning and prevention system, and adaptive cruise control. Drive the Civic Sedan EX Today! Get behind the wheel of the latest 2017 Honda Civic right now at Brilliance Honda of Crystal Lake, your local Honda dealer serving Elgin and Chicagoland. We’re located at 680 W. Terra Cotta Ave. in Crystal Lake, IL, and our sales team has the experience to help you find the vehicle of your dreams. We’ve got the current Civic in stock, as well as a fine selection of used Civic models priced under 15K, so stop by today.